This deep purse is quick and easy to make! Using 3 colors there is no need to cut the yarn between rows, just carry them along the side. The Cascade Yarns 128 Superwash is thick and crochets very smoothly. Each row is shaped with stitches of varying heights and increases or decreases. The purse is plenty big to carry all your goods or even to carry around your current WiP (Work in Progress). 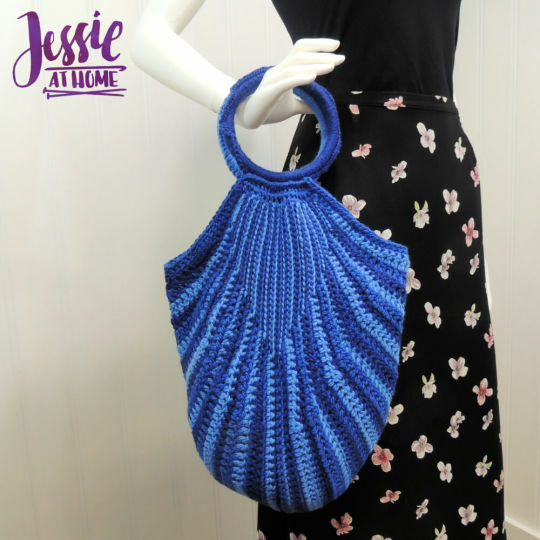 The sample is made with shades of blue, but you can make yours in any colors that make you happy!